Planning (arrange action program): Research explain about 5W+H, action research conducted. Acting (implementation action): Implementation of program conducted in the class. Observing (monitoring): Researcher done monitoring of teaching learning process to repairing next circle, watching, listening, taking note. Evaluating (research done review of teaching learning process), the researcher done assessing, scoring, identifying etc base on teaching learning process. Reflecting (mengemukakan): research propose again about what he done / did, to discuss done well or not, self evaluation / look at their self give opinion program to other. the researcher propose, thinking, considering of teaching learning what has been done well or what has not been done well to do better to understand. 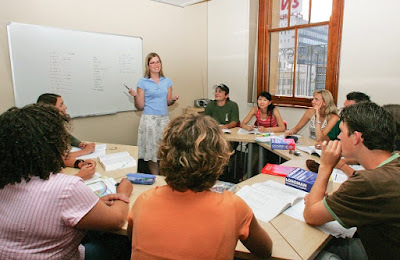 What is happening, In the classroom there are problem student in learning process of English lesson. Concerned on issue, Do focus on issue in the class including, teaching learning, teaching media and teaching aids. Get more information, How to get more information of cases or issue in the class. Collecting information, Some method to collect information or collecting data. Change teaching learning, To solve of situation or problem in class or teaching learning. 0 Response to "Process of Classroom Action Research"